FLASH SALE!! Happy Easter people! Early Bird Ticket - all early birds have to be at the venue by 12. 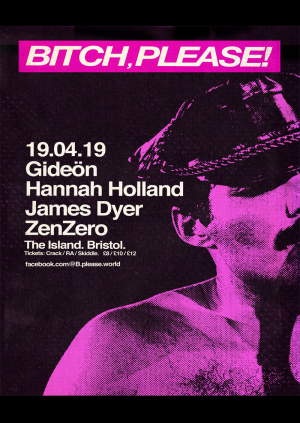 This time around were heading back to The Island for a night of debauchery with one of our favourites, NYC Downlows Gideön joins us alongside Batty Bass Leading Fem Hannah Holland.